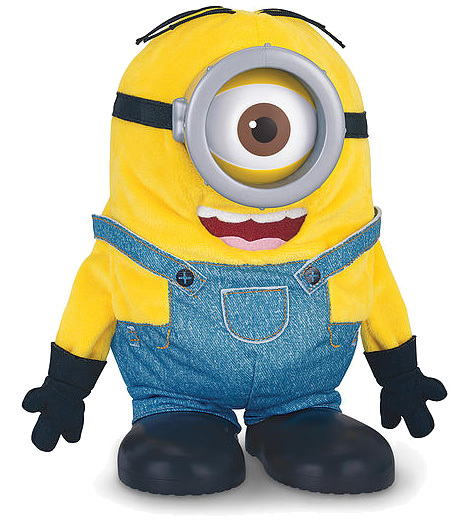 As one of the stars of the Minions movie, it’s no wonder that Thinkway Toys chose Stuart to be the lead character in their range of toys for the movie. Tumbling Stuart is probably one of the most comical toys ever made, although Tickle Me Elmo from 1996 is also a strong contender for that title! Dressed in his yellow top, blue dungarees and single eye goggle, Tumbling Stuart is constantly falling over but always manages to get back on his feet. It doesn’t matter if he falls backwards or forwards, he’s forever talking and laughing his way through every twist and turn! His talkback feature is hilarious too with a range of unpredictable reactions and answers when spoken to. By featuring authentic voices and sounds with SFX from the Minions film, Thinkway have created a toy that captures the true essence of his on-screen character. Built for kids as young as four years old, there’s no doubt that Tumbling Stuart is one of 2015’s hottest toys. Kids may also want to check out the Minions action figures of Stuart, Bob and Kevin that all feature a great range of working features. Please tell us what you think of Tumbling Stuart.